ADORABLE CAPE COD! 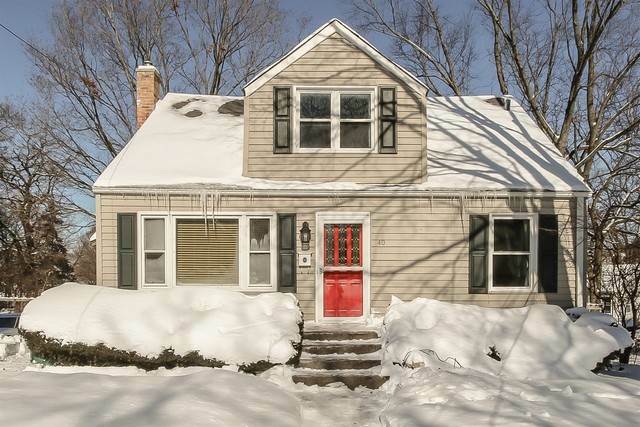 Just steps from the LAKE & in the HEART of downtown LAKE ZURICH! GLEAMING HARDWOOD floors in the spacious living room & two bedrooms on the first floor! Loads of WHITE cabinets in this SPACIOUS EAT IN kitchen! GRANITE counters, GLASS tile backsplash & STAINLESS STEEL appliances! 2 bedrooms upstairs, bath & a FAMILY ROOM too! BRIGHT & SUNNY with loads of natural light! Full WALKOUT basement with laundry area! Partially FINISHED with ample storage & rec/play area! Play house/storage shed in the backyard! 2 Car garage! Many new windows! New HVAC! Low TAXES! A great BUY! HURRY! I was searching for a Property and found this listing (MLS #10270631). I would like to schedule a showing for 40 Lake St Lake Zurich, IL 60047. Thank you! I was searching for a Property and found this listing (MLS #10270631). Please send me more information regarding 40 Lake St Lake Zurich, IL 60047. Thank you!